Fits Stark Drives rear tire rack perfectly and looks good doing so. 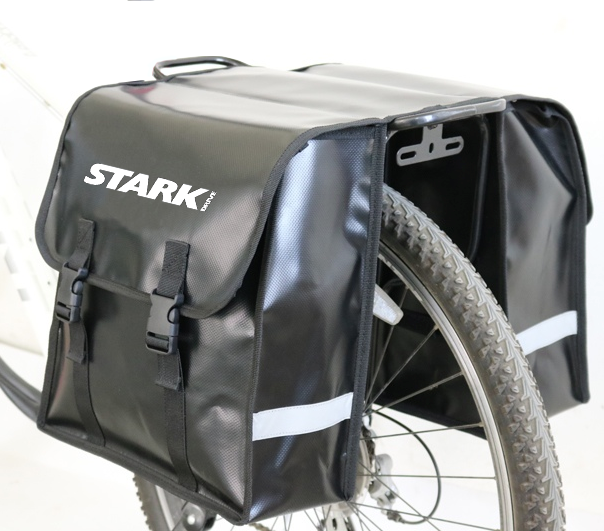 Coordinate your entire ride with this roomy carrier pack with several pockets to store everything you might need on your adventures with stark drive. 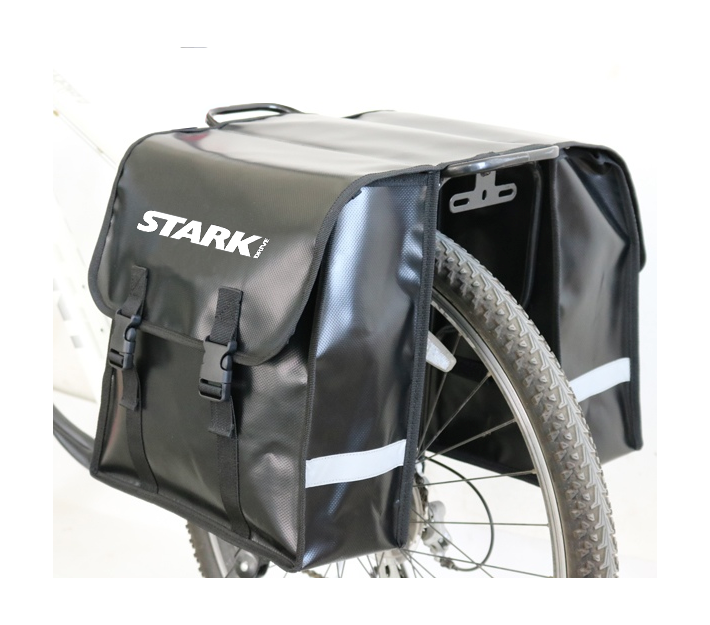 You can also place more items on top and secure them with a strap.